Stocks extended their short-term losses on Wednesday, as they retraced most of last week's Friday's rally. 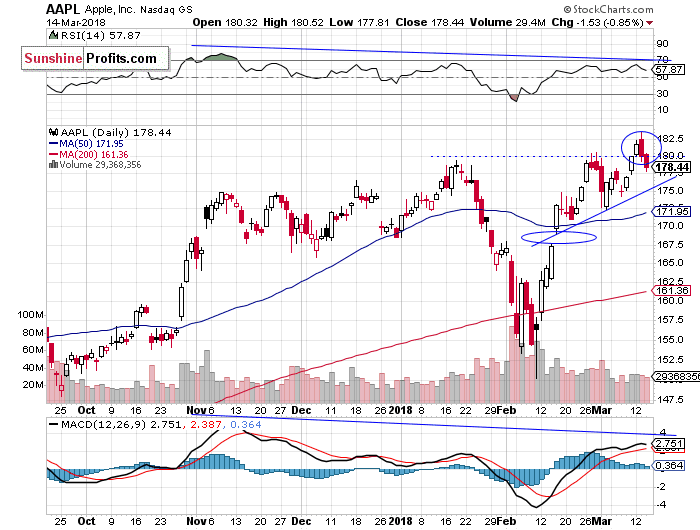 The broad stock market failed to continue its rebound from February 9 low despite technology stocks reaching new record highs. Investors' sentiment worsened again following economic news, trade war fears. There are still two possible future scenarios. Or maybe three, but the third one is the worst. The main U.S. stock market indexes extended their Tuesday's losses, as they closed 0.2-1.0% lower yesterday. The S&P 500 index lost 0.6% following Tuesday's bounce off resistance level at 2,800. 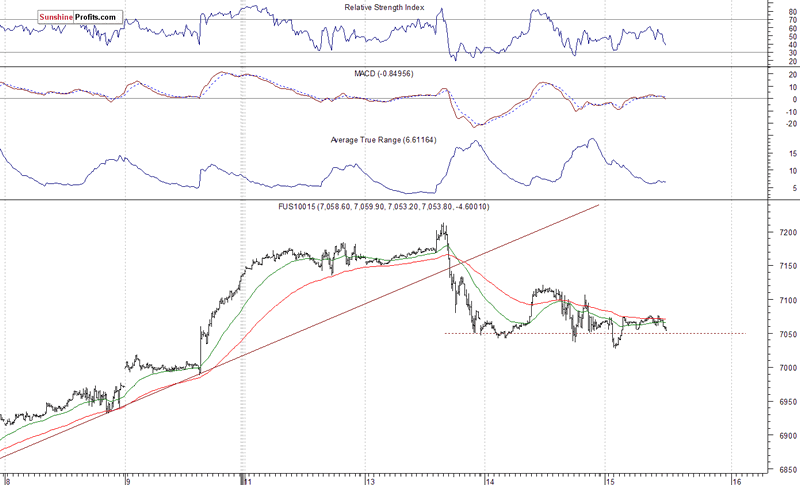 However, it remained at the support level of last Friday's daily gap up. It currently trades 4.6% below January 26 record high of 2,872.87. 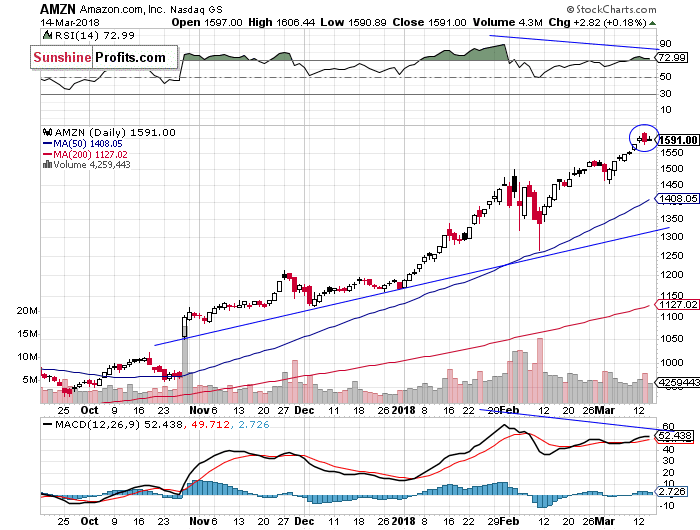 The Dow Jones Industrial Average was relatively weaker than the broad stock market, as it lost 1.0% and the technology Nasdaq Composite lost just 0.2%. The nearest important level of resistance of the S&P 500 index is now at around 2,775-2,780, marked by yesterday's daily high. 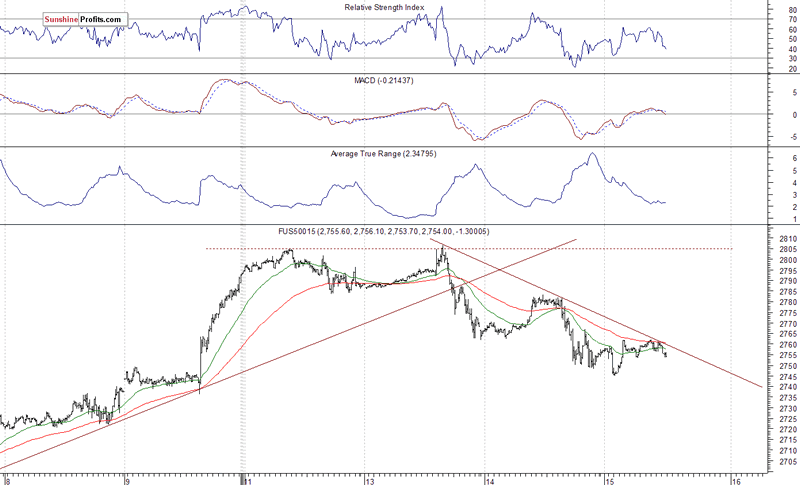 The next resistance level is at 2,790-2,800, marked by short-term local highs. On the other hand, support level is at 2,740-2,750, marked by Friday's daily gap up of 2,740.45-2,751.54. The next level of support is at 2,700-2,720, among others. The index futures contracts trade 0.1% higher vs. their yesterday's closing prices, so expectations before the opening of today's trading session are slightly positive. The European stock market indexes have gained 0.2-0.3% so far. Investors will wait for some economic data announcements: Empire State Manufacturing Index, Philly Fed Manufacturing Index, Initial Claims at 8:30 a.m., NAHB Housing Market Index at 10:00 a.m. Will yesterday's move down continue? 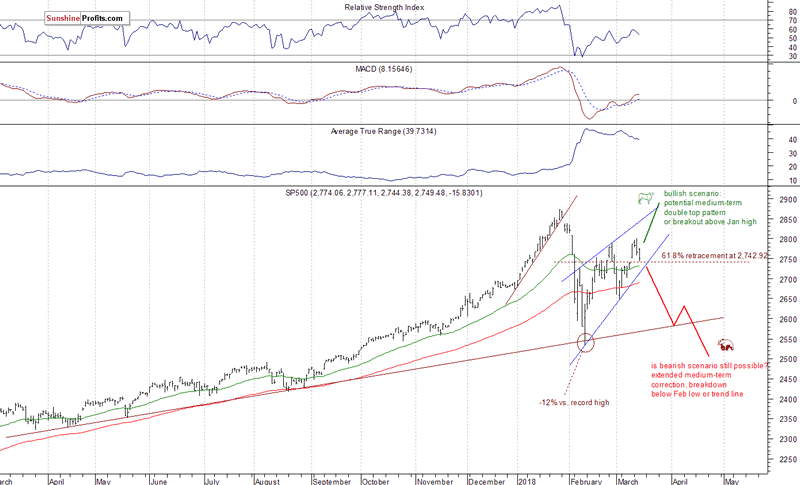 The S&P 500 index reached its Friday's daily gap up, which may act as a short-term support level. If the market breaks lower, it could continue towards the level of 2,700. But for now, it looks like a downward correction. So, we will likely see more fluctuations above support level of 2,750, and below resistance level of 2,800. Concluding, the S&P 500 index may extend its short-term fluctuations following Tuesday's bounce off resistance level at 2,800. We prefer to be out of the market today, avoiding low risk/reward ratio trades. 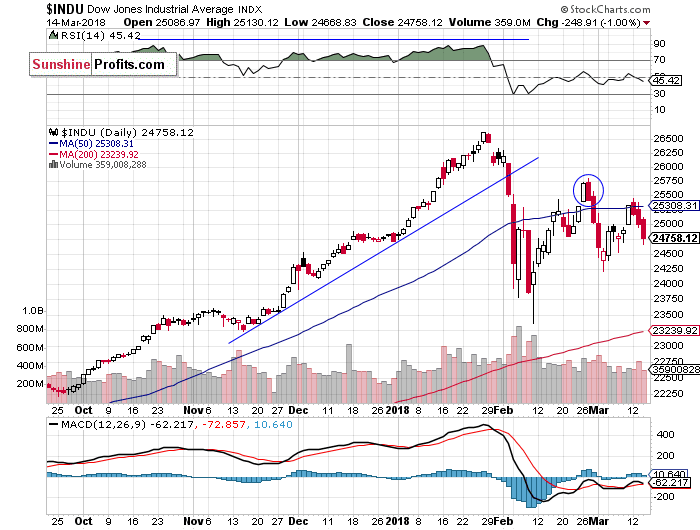 However, if sentiment worsens considerably and the index continues lower, we would think about buying the dip (within the support level of 2,700-2,720). The rally failed to continue following negative political news release. Was this just quick profit-taking action or more meaningful downward reversal? It's hard to say right now. Stocks are likely to open slightly higher today, but the outlook is bearish after recent rout. It seems that the overall market risk is higher than in the late February when S&P 500 was trading at the same level.